Elizabeth Douet is a multinational, multilingual global communications and diversity specialist leveraging technology, leadership and cultural agility to empower people and organisations to work smarter in an increasingly global environment. Initially trained as an International Journalist, Elizabeth has lived and worked across six different countries, applying first-hand “global nomad” experience to her work in strengthening organisational and personal resilience, agility and creativity to drive innovation and performance. She presently is Founding Director of Global Training Specialists, an intercultural training and consultancy company. Her outlook adheres fully to ‘outside the box’ thinking, challenging people to be continually curious, flexible and lifelong learners. Passionate about impacting positive change, she works with industry, academia, professional associations and community groups to deliver speeches, workshops, training, coaching and mentoring that help leverage technology and individual skills for better performance or improved work-life balance. Diversity and innovation themes highlight the business case for a more creative, inclusive and better performing workplace … with a focus on how people can start initiatives at work or in their communities. 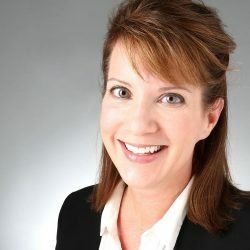 A certified consultant, coach, trainer and mentor, Elizabeth holds a first class honours MS degree in Digital Marketing from UCD’s Michael Smurfit Graduate Business School and a MS in International Journalism from Ohio University in the USA. She is a fellow of the Irish Institute of Training & Development (IITD), a member of the Society for Intercultural Education, Training and Research (SIETAR-Europa), the European Mentoring and Coaching Council (EMCC), Families in Global Transition (FiGT). She is also a Global Presence Ambassador, committed to a more dynamic educational process for Life Skills, and part of the Global Curator team for Collaborative Consumption, a platform looking at companies and initiatives within the sharing economy. Based currently in Dublin, Ireland, Elizabeth maintains a cloud-based office working virtually with clients in Germany, France, Spain, the Netherlands, the UK, the USA and Ireland.